Koodookoo invites you to travel the furthest reaches of the multiverse and dive into the deepest parts of your heart and mind on a consciousness-expanding journey. Formed in 2017 from the live music capital of the world, Koodookoo has developed a tidal wave of sonic abilities that bend reality, push boundaries, and transform all preconceived notions of where music can go. 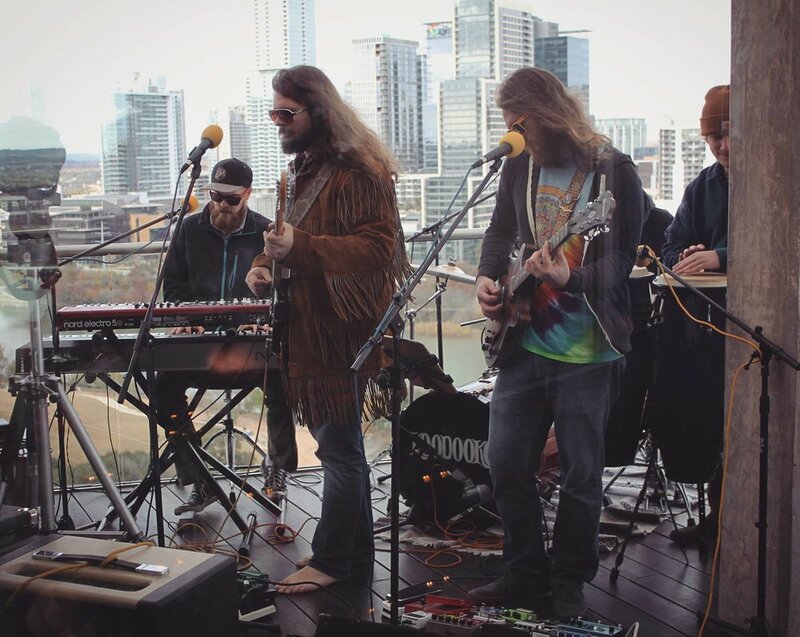 Since busting out in the Austin jam scene in early 2018, Koodookoo has wiggled its ways into the ears and hearts of an ever growing family they have dubbed the Koodookrew. Koodookoo has supported acts such as The Werks, Funk You, and Greasy Hands, and has also headlined several shows in Austin to an always enthusiastic crowd. The band recently released their debut EP, "Koo d'etat," and are booking a busy and exciting calendar for 2019 in Austin and beyond. Keep updated for new events and news because things are moving fast for the Krew!!! Get to know the Koodoods! No stranger to shredding a guitar, John was born in Dallas, Texas before moving to a Naval base outside of Tokyo, Japan at age 12. After graduating high school, John found his way back to Texas for college and in 2012, moved to Austin to make music and be part of all the city has to offer. 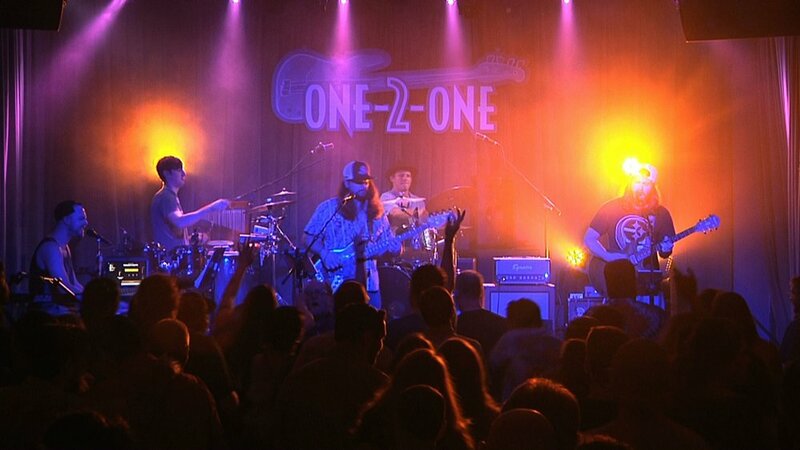 Before forming Koodookoo in 2017, John performed with Austin Grateful Dead tribute band, Minglewood with Max and Connor. Considered the ring leader of the show, John brings a controlled fury to the lead guitar; his energy is special, often radiating through both the band and the fans. His style highlights influence from Jimi Hendrix, Led Zeppelin, Jack White, John Mclaughlin, Mars Volta, Phish, The Grateful Dead, Umphrey’s McGee, Sound Tribe Sector 9, and Lotus. Fun fact: John would like you all to know that the mitochondria are the powerhouse of the cell. Hailing all the way from Portland, Oregon, Max found his way to Austin after deciding he was ready to start over with a clean slate. Max started his musical career playing with a psyche rock band called Grandparents, but found an evolved sound while he attended music school in Oregon, playing with a jamtronica band called Tribal Spectrum. The project went on to tour festivals on the West Coast including Lucidity and Human Nature. Once the band decided to part ways, Max took some time away from music, moved to Austin, and promptly decided to recommit to his passion and pursue music seriously. Max’s brings a dedication and creative ingenuity to the keys, with instrumentation that takes the Koodookoo sound to a whole new depth. His classic training combined with an innate skill for improvisation draw on his greatest influences on piano including Herbie Hancock, Chick Korea, Kyle Hollingsworth, Thelonious Monk, and as a band, The Grateful Dead. Fun fact: In his most recent past life, Max was a yellow bellied marmot. Holding down the low-end Grady was born in San Angelo, Texas and raised in Muncie, Indiana after his parents retired from the Army. Grady is a seasoned musician and performer with two studio albums under his belt from a previous project, When, Not If. After a quick stint in Austin, the band parted ways, allowing Grady to pursue other music ventures in town including That Bandit!, Odas and Louise, Odas Williams Soul Revue, and most recently Matt Cline Band. Grady’s sound on the bass guitar is described as unique and robust, balancing melodic riffs and deep repetitive grooves that hold it all together. He draws influence from Phish, The Grateful Dead, Rage Against the Machine, The Band, and the Allman Brothers. In his spare time, you can find Grady continuing to develop Koodookoo and immersed in the local ATX jam scene, dancing the night away with his girlfriend and partner-in-crime, Kristen. Fun fact: Grady was the Fiesta del Concho armadillo racing champion in 1996! Matt grew up 45-minutes northwest of downtown Los Angeles in Northridge, California. The son of a full-time gigging jazz musician, Matt knew early he was destined to perform and thanks to a drum set for his 11th birthday, he got an early start, too. First moving to Austin in 2014, and then permanently relocating in 2017, Matt arrived with dreams of being in a successful rock ‘n roll band, playing great music with his friends, and enjoying all that makes Austin special. Matt’s style on the drums introduces steady beats and a harder rock vibe, boasting a heavier sound that easily drops into easy going grooves when the jams require it. Heavily influenced by Kris Myers, Adam Deitch, Clyde Stubblefield, Jon Theodore, Stanley Randolph, Stanton Moore, and Benny Greb, Matt strives to keep the music tight and rhythmically interesting. Fun fact: Matt can’t go more than three days without Mexican food. Connor was born and raised in Fort Worth, Texas before moving to Austin in 2003 with his family, and as he likes to say, “has been keeping it weird ever since!”. 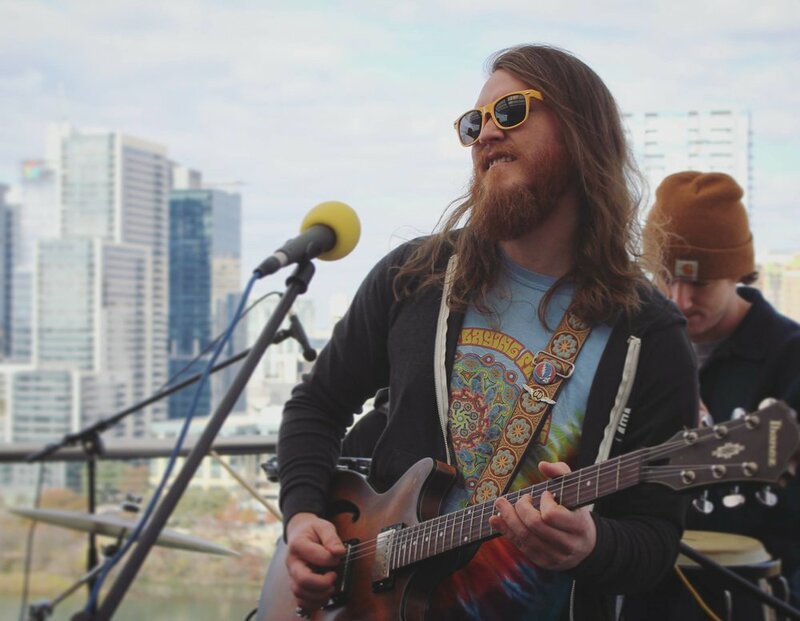 Having first hit the scene in 2011, Connor started gigging with blues rock bands all over Austin, before joining forces with John and Max in the Austin Grateful Dead tribute band, Minglewood. Branded the funk master of the band, Connor brings different rhythms and sounds that work cohesively with the band’s exploration, adding texture and uniqueness to the Koodookoo vibe. Influenced by Domingo "Sunny" Ortiz, Nate Werth, and the music of Stevie Wonder, Connor’s creativity on percussion is unmatched and part of what sets this band apart. Fun fact: When Connor was 2 years old, he ate so many carrots that his face turned orange! Subscribe to the Koodookrew newsletter! Sign up with your email address to receive a monthly (ish) newsletter with updates and special offers.